Due to Gustav, WordPlay has been postponed from tomorrow, August 31 to Sunday, September 7 at 7pm. 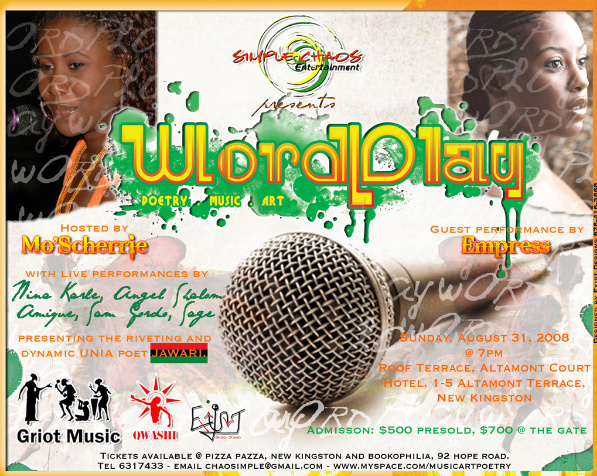 WordPlay tickets bought already are still valid. Tickets are also still available at Bookophilia, 92 Hope Road and TGI Fridays, 51 Hope Road.